The death has taken place of Fr Sean Ryan SMA at St Theresa’s Care Centre, African Missions, Blackrock Road, Cork. 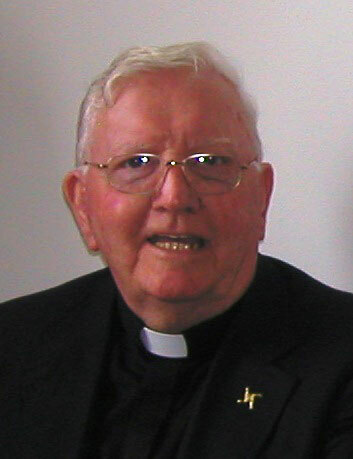 Fr Sean died in his sleep at 3.30am on 22 February, 2014. He will be buried, after 12 noon Concelebrated Funeral Mass, on Monday, 24 February. Sean Ryan was born in Louth Village, Co Louth on 16 July 1933 , the son of John and Mary (Macken). He was the 8th born in his family, having three step-sisters, three sisters and one brother. 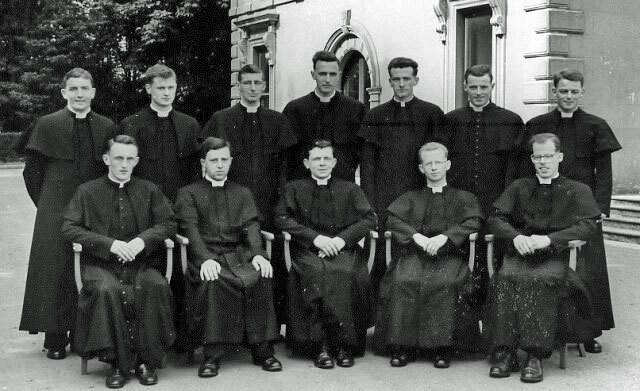 After completing his primary schooling he decided he wanted to be a missionary priest. And so he enrolled in the Sacred Heart College at Ballinafad, the secondary school run by the SMA in Co. Mayo. He spent one year there (1947-’48) and then went to the SMA College in Wilton, Cork, for three years before returning to Ballinafad, completing his Leaving Certificate exams in 1952. The SMA Novitiate at Kilcolgan, Co Galway was Sean’s next stop on the road to missionary priesthood and, after one year doing his Novitiate and Philosophy studies, he travelled back north to the African Missions Major seminary at Dromantine, Newry, Co Down where he completed his Philosophy and Theology studies along with his eleven classmates. He became a permanent member of the Society on 12 June 1957. 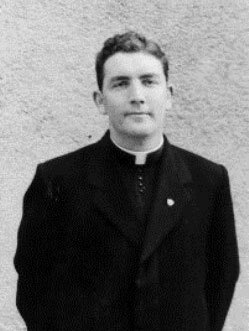 A little over a year later, on 18 June 1958, he was ordained to the priesthood in St Colman’s Cathedral, Newry, by Bishop Eugene O’Doherty. During his student days, Sean was noted for his sporting interests. He was particularly adept at table-tennis and soccer. His interest in soccer endured and, as a priest in Nigeria, he refereed many important soccer games as an official Referee of the Nigerian Football Association. After holidays, Fr Sean set sail for the diocese of Benin City, in the midwest of Nigeria. He was to spend the next 42 years working in that part of Nigeria. After some months in the Tyrocinium studying the local languages and culture, he was appointed to Ughelli, in Urhoboland, where he was soon conspicuous on his bicycle in every nook and corner of that vast parish. 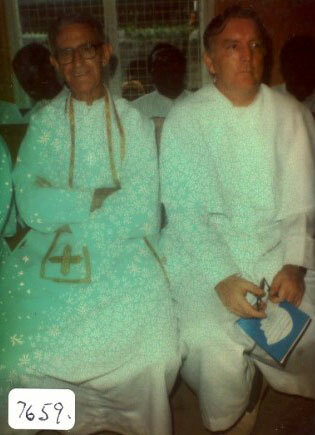 During Sean’s years in Nigeria, Benin City, under the leadership of Bishop Patrick J Kelly SMA, was divided several times. Fr Sean was to witness the birth of 4 other dioceses: Warri, Issele-Uku, Uromi and Auchi as well as the Vicariate Apostolic of Bomadi. When Warri diocese was created in 1964 Sean was the Parish Priest of Bomadi, which itself was divided from Warri on 17 March 1991. Fr Sean was to spend 31 years working in Warri diocese. He is pictured left with Fr Bill Power SMA (from Youghal, Co Cork) who spent 50 years in Nigeria, some of them in the same missions as Fr Sean. “Sean was always thorough and regular in the pastoral ministry. The vast number of outstations in the Riverine area were visited frequently by a canoe with outboard engine. It was a difficult mission by any standards. … When Sean returned to Bomadi in 1984 for another long spell he was greeted with great enthusiasm and they acknowledged that he was the only ‘Fada’, and for that matter the only white man, ever to come back. The diet was simple; yams, gari and fish, meat being a rare luxury… Sean will be remembered for doing many wonderful things during his 42 years of service … but most of all for his dedicated service to his beloved Ijaw people.” (Kindling the Fire, pp 96). All in all, Fr Sean served in the following parishes during his 42 years: Ughelli, Ubiaja, Warri, Bomadi (1963 – 1966), Aragba, Obiaruku, Sapele, Ozoro, Bomadi (1983 – 1991) and Agbarrho. In 1993 he heard that Bishop Anthony Gbuji of Issele-Uku diocese had invited the SMA to return to Issele-Uku. The SMA Regional Superior, Fr Willie Cusack, knew that Fr Sean was the right man to re-establish our presence in an area first evangelised by Italian-born Fr Carlo Zappa SMA. The Society had withdrawn from Issele-Uku several years before having adjudged that the local church was sufficiently well-established to ‘manage on its own’. Bishop Gbuji, in his wisdom, saw the benefit of having a ‘missionary’ presence in his diocese so that the local church of Issele-Uku would, in turn, become missionary to other parts of the world. On Pentecost Sunday 1993, Fr Sean took charge of a new SMA parish – St Patrick’s SMA Parish, Cable Point, Asaba. With a sense of SMA history, Sean knew that it was on Pentecost Sunday, 1888, that Fathers Zappa and Poirier arrived in Asaba. And it was fitting that Fr Sean, 105 years later, ‘returned’ to one of the earliest SMA missions in Nigeria. 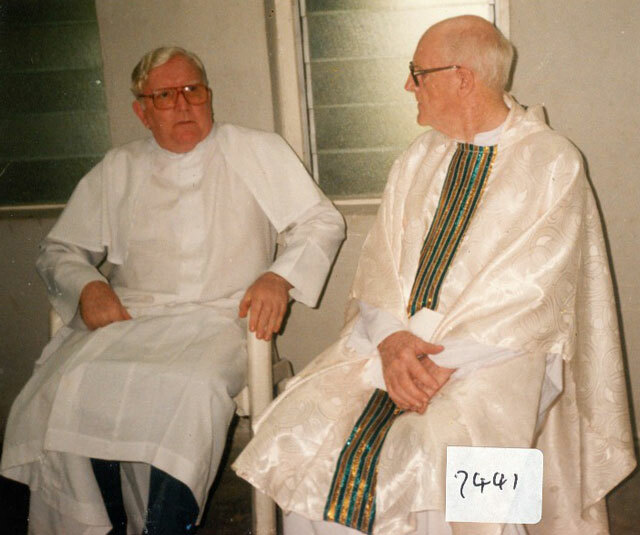 Another long-serving missionary in Nigeria was Fr John Brown SMA who served with Fr Sean in Nigeria. Fr Sean’s first challenge was to complete the Church building and, when he left finally for Ireland, St Patrick’s was the best attended church in Issele-Uku diocese. In Asaba, he worked alongside Fr Fabian Hevi SMA (from Ghana) and Fr Donatien Djohossou SMA (from Bénin Republic). On the occasion of Fr Sean’s 40th anniversary the people of Asaba organised a grand celebration. In the booklet produced for that occasion the following tribute was paid to him: “… Throughout his long ministry in the priesthood, Father Sean has proved to be a very worthy Priest, an excellent Pastor of souls, a very capable Administrator and a prolific builder of churches and schools. He was also a very keen, active sportsman renowned as an efficient football coach and an unrivalled referee, whose services were often sought for, because of his strict sense of fair play and impartiality. Two years later, in 2000, he handed over to Fr Mattie O’Connell and returned finally to Ireland to continue in active ministry in the Archdiocese of Armagh, serving in Tallenstown (2001-2006) and St Peter’s, Drogheda (2006-2012). Fr Sean retired to the African Missions in Dromantine. After his diagnosis of cancer he underwent several bouts of treatment but, through it all, never lost his steady, calm and cheerful spirit. He visited Cork several times for treatment. He returned to Dromantine before Christmas but it soon became clear he needed nursing care as his illness advanced. When he returned to Cork in January he knew that he was saying ‘goodbye’ to his family, friends and confreres in the north and that his time on earth was drawing to a close. And he was at peace with this. 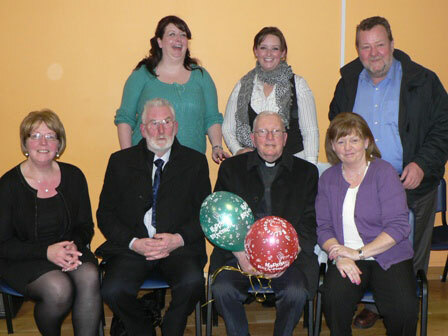 When Fr Sean was leaving St Peter’s, Drogheda, there was a parish celebration to say ‘adieu’. Our photo shows some of his family who attended that event. He is deeply regretted by his nieces Maura, Helen, Margaret, Bernadette and Stephanie and their families; his nephew Patrick and his family, grand nieces and grand nephews; great grand nieces and great grand nephews, cousins, relatives and confreres in the Society of African Missions.